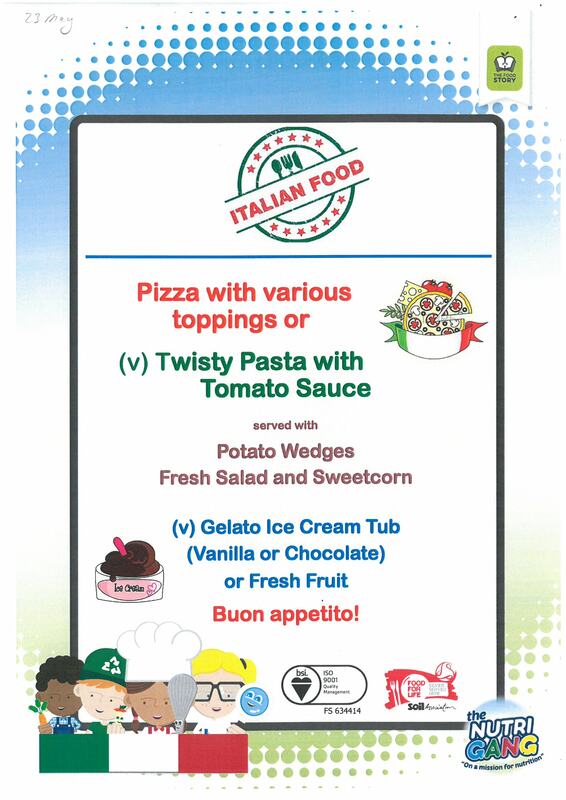 We will be serving an Italian food day, please take a look at the menu below. With a choice of pizza with various toppings or (v) twisty pasta with tomato sauce, served with potato wedges and fresh salad and sweetcorn. Chocolate or vanilla ice cream or fresh fruit to finish!